Have you ever used a beauty product only to be suddenly overcome with intense itching, burning, swelling, stinging, redness, hives or something of the like? If so, unfortunately, you are in good company. Exposure to allergens has become a risk far too commonly expected from daily cosmetic products. In fact, over 3,700 substances have been identified as contact allergens and many are found in your everyday beauty products – even the “hypoallergenic” brands! This means that you cannot rely solely on the “sensitive” or “hypoallergenic” claims on your product labels. To avoid harmful allergen exposure, you must be proactively reviewing the ingredients of the products you use as well as the practices and standards of the companies creating them. 1. Preservatives – Preservatives have been identified as the most common type of cosmetic allergens. Top preservatives include parabens, methylisothiazolinone, Quaternium-15, DMDM hydantoin, phenoxyethanoil and formaldehyde. 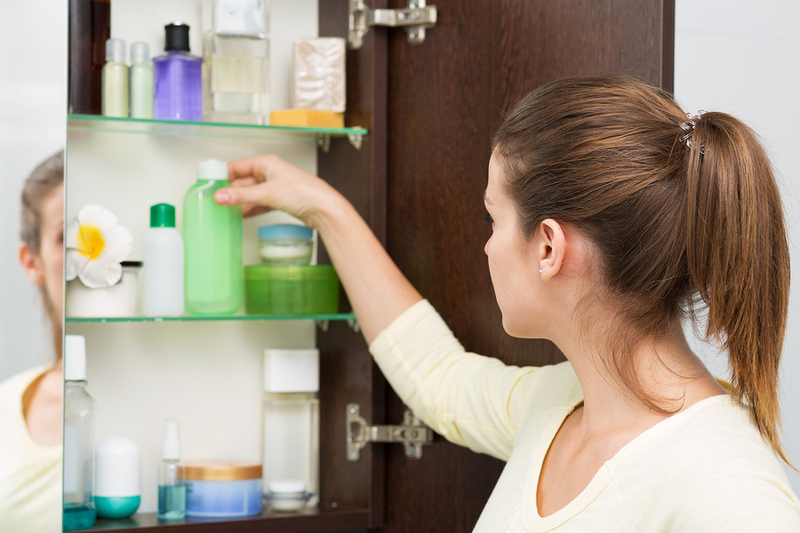 Surprisingly, it’s not only standard skin care products that pose an allergen threat. “Natural” products and ingredients cause risk of reaction, as well. If you happen to be one of the few lucky individuals that have hypersensitive skin and seemingly react to everything, be mindful of natural skin care lines as well. Natural or plant based ingredients such as Lanoline, Primin, Propolis and even essential oils can cause reactions on occasion. As a precaution, to avoid reactions to new skin care products, always apply a test patch before lathering up your entire face or body. Apply a small amount of product on the back of your arm or another discrete location. If no redness, irritation or reaction occurs within 24 hours, then proceed with using the product as directed. You deserve to look your best! Give us a call to set up your complimentary consultation for skin analysis with Visia Complexion Analysis, a top-of-the-line facial imaging system that will give you a complete 3D visual of your skin. Call us to schedule yours today at (281) 698-8770!